Guardians of the Galaxy Vol. 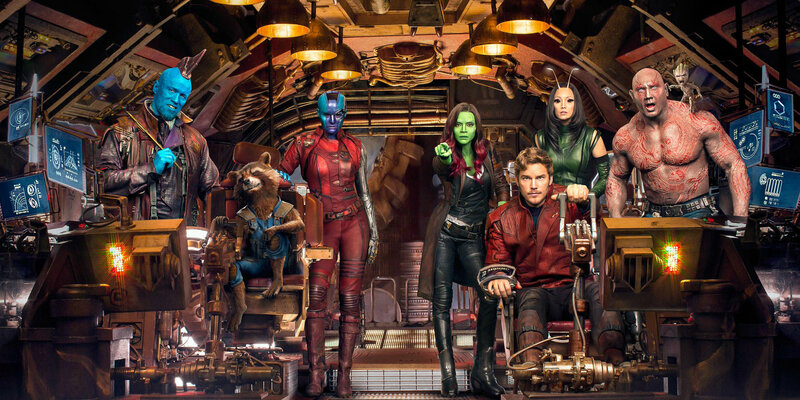 2 has a great opening scene where Baby Groot (voiced by Vin Diesel) dances to Electric Light Orchestra’s Mr. Blue Sky (1977) while the rest of the team – Star-Lord (Chris Pratt), Gamora (Zoe Saldaña), Drax (Dave Bautista) and Rocket (Bradley Cooper) – fights a monster in the background. It’s sly, funky fun, and for a moment I thought the film would be able to sustain its promise. But much like with the first entry in this Marvel series, after an hour or so I was already waiting for the thing to finish so I could get on with my life. Guess I’m not the audience. Even with welcome additions such as Kurt Russell’s lunatic god Ego, Guardians of the Galaxy Vol. 2 is just more of the same: A loud and slightly annoying CG-heavy extravaganza that’s only intermittently amusing. But Groot? Still cool, though.